English was acclaimed for his starring role in the 1978 Australian TV series “Against The Wind” - he won a Logie for “Best New Talent”. He also co-wrote and performed the score with Mario Millo (ex-Sebastian Hardie). The series had international release, and the songs "Six Ribbons" and "Against the Wind" were released as singles, both singles and the soundtrack peaked at #1 on the Norwegian charts; the first single, "Six Ribbons" and the album, peaked at #4 on the Swedish charts. 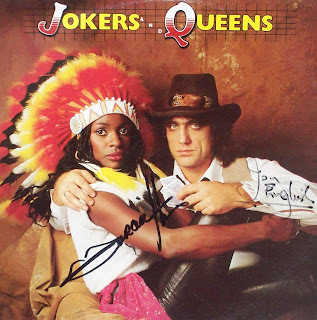 During 1983-1985, English won four Mo Awards with three consecutive “Entertainer of the Year” awards and a further “Best Male Vocal Performer” in 1985. English has performed in Gilbert and Sullivan’s operettas “The Pirates Of Penzance”, “The Mikado” and “HMS Pinafore” from 1984. 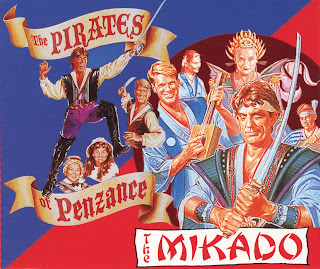 In 1995 the casts of two of Jon English's theatre productions recorded finale Megamixes for "The Mikado" and "The Pirates Of Penzance" - released on CD promos only. The cast members on the Megamix recordings include: Jon English, Simon Gallaher, Toni Lamond (Helen Reddy’s older sister), Jason Smith, Tim Tyler, The Fabulous Singlettes, Helen Donaldson, Geraldine Turner, Drew Forthsythe and David Gould. This download includes both Megamixes taken from the promo CD which has been long deleted.